The upcoming New Year is a unique opportunity in the year where we can set ourselves new goals, think about what we really want to accomplish and leave behind anything that is no longer useful for us or that made us have a hard time. Clearly, what we cannot leave behind are our friends and the good experiences from which we learned a lot. We all have a one friend which is closer to us that other of our friends, they are the ones who in difficult times always give us a little of their time to advise us and who understand us when we are in trouble and who celebrate with us when we triumph. Therefore, as New Year approaches, we should take the opportunity to remind your closest friend how important he or she is in your life. Writing a letter is the closest thing you have to express how you feel about that unconditional friendship. Thank him or her for the constant support and interest. If you have a friend who you want to say hello and express your best wishes for this New Year, but still do not know how to put your feelings into words, in this article you will find sample letters that you may use and customize the make a letter of your own. We only know each other recently, but I want to remind you can count with my full support in the pending orders. I hope you can get all you have proposed for yourself and accomplish all the goals you set. I write this letter because you were always beside me and showed me that I can count with you in difficult times. I wanted to thank you in person for your interest. Your friendship is a gift and as such it is important to value it as unique. I cannot find so far someone that is sincere, friendly and reliable like you. If you need something that is within my power to get, do not hesitate to ask me for it. I hope we spend more time together, which means I hope that the responsibilities we have pending do not overwhelm the true sense of the visit. Sometimes it is better to have this in mind to generate long term activities. You are a great person and I wish to fulfill everything we have programmed together. I say goodbye hoping to spend more time together, but not before sending you a big hug and a kiss. I hope you are well and that this New Year projects better results than the last one. I am sure it will because we will work together and live as we should. Never forget that you have my unconditional friendship, when you need it and when you do not. If you require any kind of support, feel free to consult me and I will be more than happy to help you. Even when you feel like as if you cannot continue anymore, I will wait for you to share a moment together and have a good time like we used to. I suggest you accept things as they come and do not complain about life, but assume a positive approach. You know you can count with me for anything you want and need. 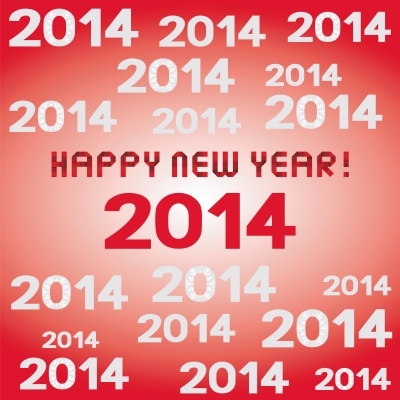 I am sure we will enjoy this year the most we can and that our friendship will be strengthened over the years. I send many greetings for you and for your family. See you soon. If you decide to write a letter makes sure that when you write it you can express everything your heart tells you. Open your mind and your feelings and express them in the best way possible. This w is the only way you will be able to realize that you are fully able to express your feelings. We believe that these examples will help you express better your ideas.